In the book Gospel & Kingdom by Graeme Goldsworthy, Goldsworthy provides a great two minute overview of Old Testament history that’s worth committing to memory to frame out the ‘story line’. As we approach Christmas, think through this redemptive history that leads to the birth of Jesus. The history begins with the creation of the universe, the world and man. It then focuses on man (Adam) and on his relationship with God. After being ejected from paradise in Eden because of his rebellion against the Creator, man’s history is one of increasing and widespread sinfulness. This leads to instruction through the flood and to the preservation of one family. From this family of Noah the lineage of man is shown to divide among the nations of the world although the focus is on the line of Shem leading to Abraham. The dispossession of the inhabitants of Canaan, and the settlement in the land, led to the development of the need for some form of government or administration of the covenant. After a false start under King Saul, Israel received a great leader in the person of David. He united the tribes and established a capital city, secured the borders and set up a proper administration. Unfortunately David’s successor, Solomon, became too ambitious and unwise policies led to eventual dissatisfaction. When his son came to the throne, there was a rebellion and the ten tribes of the north seceded to become the kingdom of Israel while the dynasty of David continued to rule over the southern kingdom of Judah. The secession led to a general decline in both north and south, although the prophets continued to call the people back to faithfulness to the covenant God. The north finally suffered defeat at the hands of the Assyrians (722 B.B.C.) and ceased to be an independent state. More than a century later the might of Babylon was aimed at the south and, with the destruction of Jerusalem (586 B.C.) and the deportation of most of the people, Judah as a political entity ceased to be. Some three-and-a-half centuries intervened between the two Testaments. 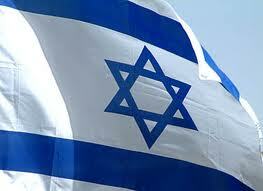 During this time the most complex political developments occurred in the Jewish state. The Persian Empire crumbled when Alexander the Great pushed into Asia Minor and advanced to Egypt and beyond Babylon to the borders of India. Hellenistic culture was imposed upon Alexander’s empire by his successors and the Jews did not escape the fearful results of the conflict between the pagan Greek philosophies and way of life, and the Hebrew devotion to the Law and religion of the one True God. In the middle of the first century B.C., the Romans entered the Middle East region and the Jews found themselves a province of the great Roman Empire. This entry was posted in Theology and tagged Grame Goldsworth Old Testament summary. Bookmark the permalink.